Radinn's second generation electric wakeboard, the G2X, is reaches an exhilarating speed of 36 mph (58kph) in almost complete quiet. Custom engineered, unique dynamic design uses an efficient jet-system for performance and brushless electric motor crafted with superior attention to detail. Oil changes or maintenance are not required. The lightweight board weighs only 88 lbs (40kg) with its battery. The G2X offers ride times up to 45 minutes with the power pack XL. The light-guide displays battery power level. The board vibrates to remind you when to head back to the yacht. The G2X jet board includes a water-proof remote to set your personal speed. Just plug it in and enjoy the excitement. All Onean electric jetboards use the same interchangeable battery. Change to a fresh battery with a quick turn of a handle. 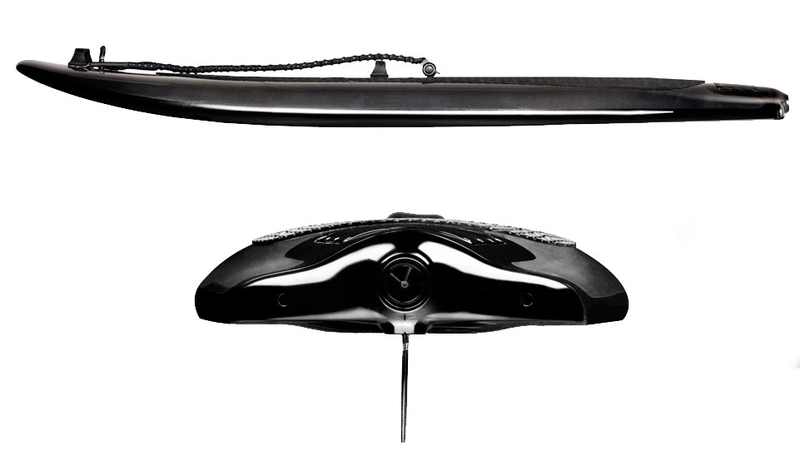 The wireless remote offers freedom while surfing without a tethering or strapping system. The Onean board includes adjustable power for all skill levels. Apply different settings to the board according to the type of rider. Easily service Onean jet boards yourself with the included user manuals and video tutorials. Purchase popular accessories and spares including impellers, stator/nozzle, handle, batteries, and tools kits. 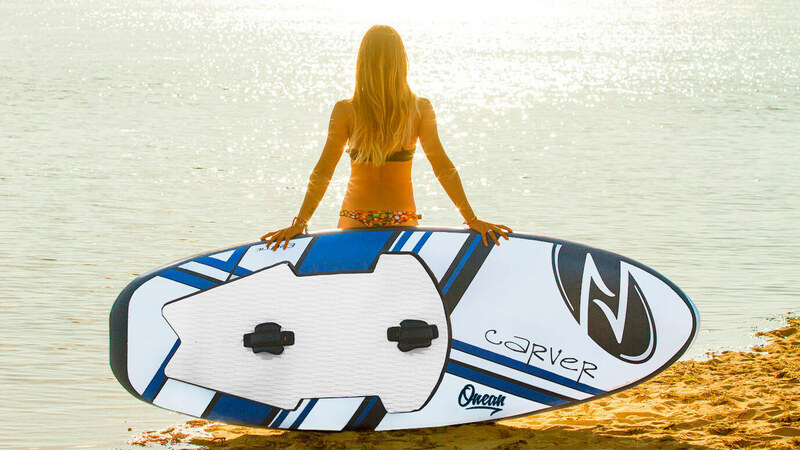 The original Onean motorized surfboard model, the Carver board, glides across the water at speeds up to 21 mph (35kph) with 40 minutes of ride time. Select from five power levels using the wireless control. 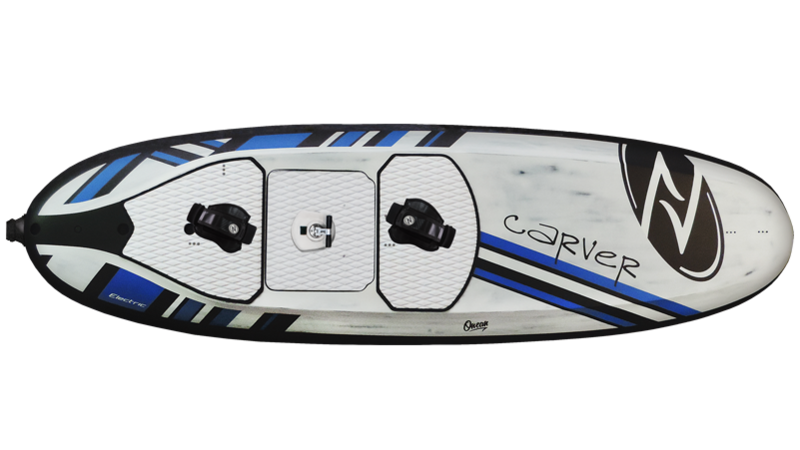 The Carver X is a more powerful electric surfboard with a dual jet propulsion system giving an average 40-minute ride time. Designed for riders above 187 lbs (85 kgs). Onean's most stable surfboard is designed for long excursions. Riding a Manta is very easy as it is designed for all skill levels. Its big surface gives the rider plenty of balance and enough space for your fishing gear, snorkeling equipment, or cooler. Ride up to 6 mph (10kph) for up to 6 hours. Simply press the wireless controller to the set the power to 50% or press again to proceed to 100% power. The Lampuga “Air” is a unique inflatable electric surfboard. It is environmentally friendly with low operation and maintenance costs. The board is easy to inflate, easy to transport, and is fast on the water. 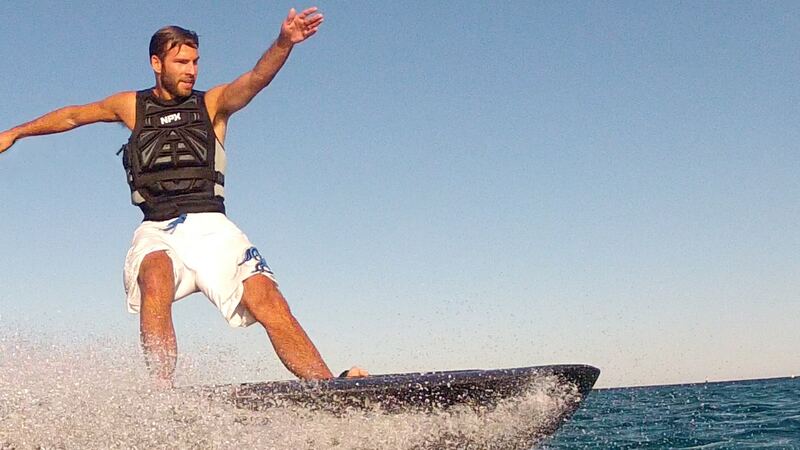 The inflatable electric jetboard is lightweight at only 83 lbs (38kg). It comes in a variety of fun colors with an easy-to-change, removable Power Box offering massive thrust and low energy consumption. The rider controls direction by weight transfer and speed using hand controls. Reaches up to 31 mph (50kph) with 45 minutes ride time. The Lampuga “Boost” petrol surfboard travels at breathtaking speed while providing incredible stability. The gas-powered surfboard is manufactured in Germany using the highest quality materials. The battery is removable and easy to change. Gas control is by hand and direction control by weight transfer. The battery life is up to 45 minutes, charging only takes 2 hours and the lightweight board only weighs 88 lbs (40kg).